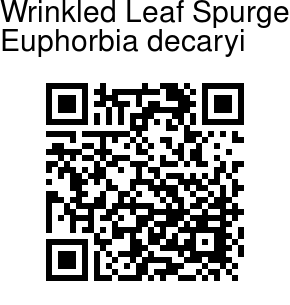 Wrinkled Leaf Spurge is a lovely succulent that is native to Madagascar, and is used as a house plant. It was named for Raymond Decary, 20th century plant collector. It is a spreading, evergreen plant, under 6 inches in height. 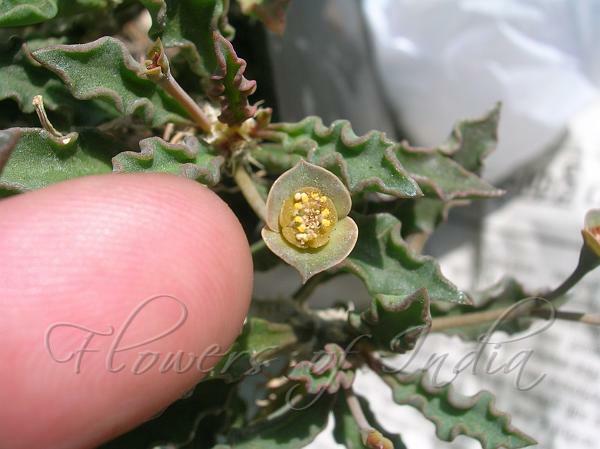 It is a slow growing succulent, with multiple branches and crinkled leaves up to 5 cm long. Leaves are thick, leathery. If you expose them to sun they tend to get a dull red or purple colour in the leaves. Flowers are chartreuse, yellow-green, yellow, or red; female flowers carry a three-part pistil over a three-part ovary, producing three or sometimes more seeds. Flowering: February-April.